Washington (CNN) President Donald Trump’s attorney general nominee, William Barr, told a Senate panel Tuesday he would not interfere with special counsel Robert Mueller’s investigation — and wouldn’t be “bullied” into doing anything he deemed improper. Barr pledged to release “as much as I can” of Mueller’s findings to the public, to provide Mueller with the resources and time to finish the job, to not terminate Mueller without good cause and to notify Congress if he denied a major request during the investigation. 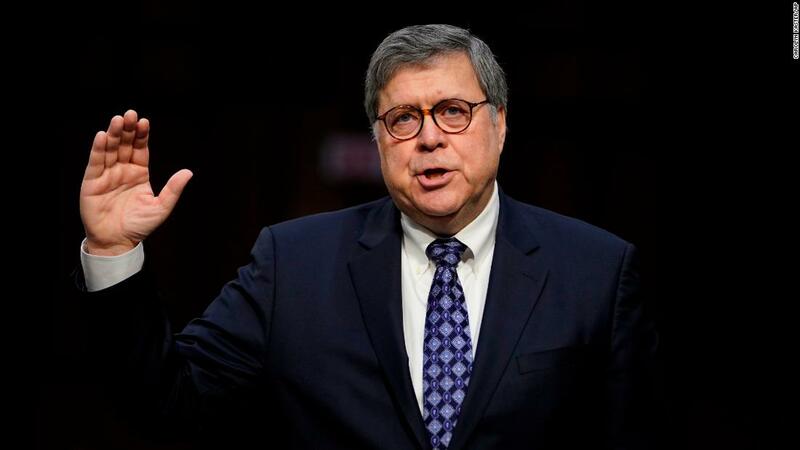 Barr has publicly supported Trump’s decision to fire former FBI Director James Comey over his handling of the investigation into former Secretary of State Hillary Clinton’s email server. And he has privately criticized Mueller’s inquiry into Trump’s potential obstruction of justice in asking Comey to drop a probe into former national security adviser Michael Flynn — and then firing him. Feinstein said the memo “shows a large sweeping view of presidential authority and a determined effort, I thought, to undermine Bob Mueller. “When asked if he would block a potential Mueller subpoena requesting to ask the president questions about obstruction, Barr said he needed to know what the facts are. “If there was a factual basis for doing it, and I couldn’t say that it violated established policies, then I wouldn’t interfere,” he said. Barr also rejected the view that the memo was meant as a job application, calling it “ludicrous. “If I wanted the job, and was going after the job, there are many more direct ways of me bringing myself to the President’s attention, than writing an 18-page legal memorandum,” he said. Barr also gave more details about how he delivered the memo, explaining that he first “verbally” gave his opinion to Rosenstein, recalling the deputy attorney general’s “sphinxlike” reaction and his follow-up in a written memo. Barr said he asked Rosenstein’s staff if he would prefer reading a one-page document or something in-depth. “I suspect he is,” replied Barr. Before Barr was considered for the attorney general position, the White House considered him to join the President’s legal defense team. In June 2017, Barr testified, David M. Friedman, the US ambassador to Israel, asked him if he would be interested. Barr said he declined the offer, but accepted Friedman’s invitation to meet the President the next day. When Trump asked Barr about his personal friendship with Mueller and about the special counsel’s integrity, Barr recalled telling the President that Mueller should be treated as a “straight shooter.” Barr then said he told Trump that he was unable to take the job due to personal and professional obligations, they exchanged phone numbers, and he didn’t hear from him again until the attorney general post came up. Barr called Russia a “potent rival of our country” and said he had no reason to doubt that Russians had attempted to interfere in the 2016 US election. “We have to get to the bottom of it,” he said. Barr criticized Comey’s handling of the investigation into Clinton’s email server, particularly for straying from Justice Department procedures in publicly announcing that Clinton’s handling of classified information was “extremely careless” but not criminal. Barr added that Comey had “no choice but to correct the record” when the former FBI director had to publicly announce just days before the presidential election that he had reopened, and then closed again, the investigation. “The whole sequence was very herky jerky and bizarre,” he said. 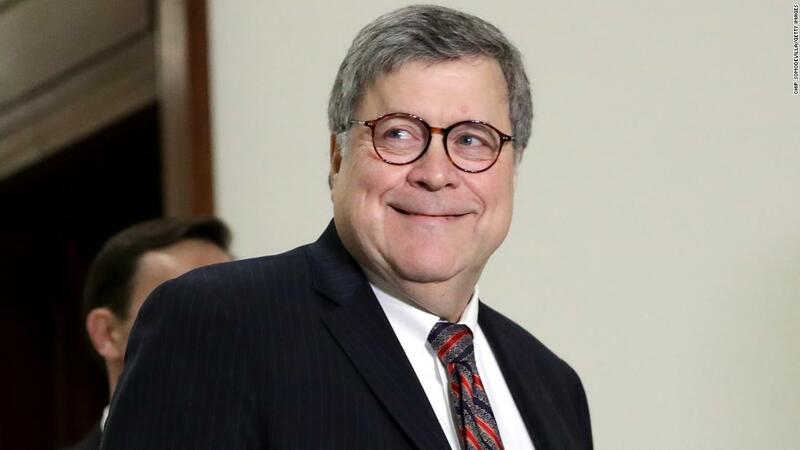 If confirmed, Barr would take over from acting Attorney General Matthew Whitaker, who replaced Trump’s first attorney general, Jeff Sessions, who was fired by the President in November. The Justice Department, Barr said, must concentrate on “zero tolerance” for violent hate crimes, “enforcing and improving” immigration laws and protecting the right to vote. The nominee said he regrets that he is testifying during a partial government shutdown, the longest in US history. For more than three weeks, Trump has pressed Congress to approve over $5 billion to build a wall on the US-Mexico border, one of his top campaign promises in 2016. Barr said his thoughts are with the federal workers, and he echoed the administration’s stance on immigration. “We need money right now for border security, including barriers and walls and slats and other things — anything that makes sense in different areas of the border,” he said. “I would like to see a deal reached whereby Congress recognizes that it’s imperative to have border security, and that part of that border security, as a commonsense matter, means barriers,” Barr added.